It's been festive for the past week, hordes of people were out and about as Belizeans celebrated the 28th anniversary of its independence on September 21, from Great Britain. Belize's twenty eight independence anniversary celebration was marked by ceremonies and parades in municipalities and cities across the country. And even though rain played havoc with the festivities in Belize City, in Belmopan, Belizeans came out in numbers, despite a heavy downpour. The official ceremonies were held at the steps of the National Assembly building on Independence Hill. In attendance were representatives of various countries with diplomatic presence in Belize, as well as members of the Cabinet and National Assembly. 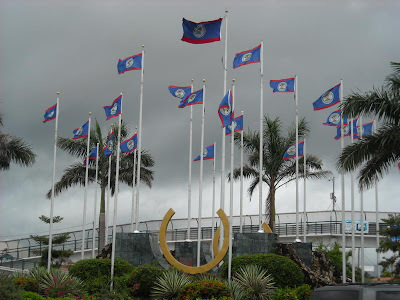 In his Independence Day message, Prime Minister Dean Barrow said that despite the many challenges that confronts us as a people, Belizeans celebrate the twenty eight anniversary of independence knowing that deep within there lies the power to overcome any obstacle that confronts us as a nation.